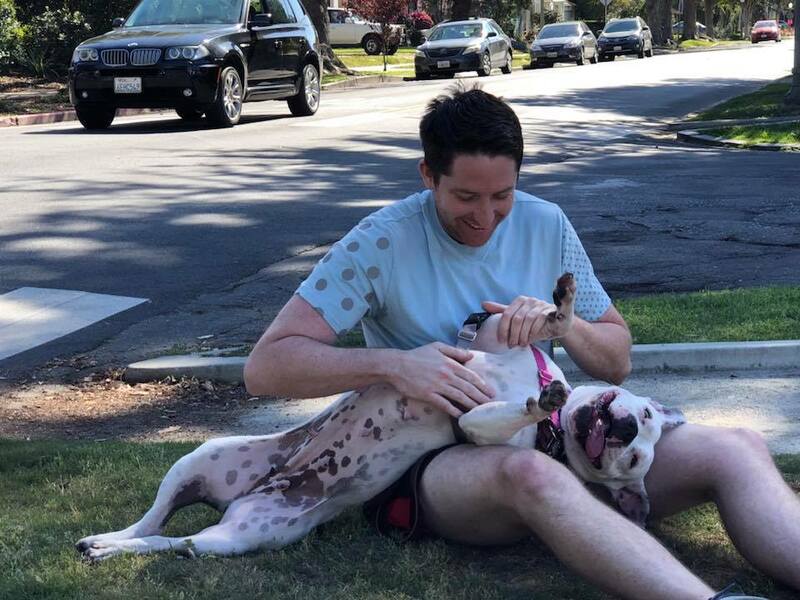 As a 100% volunteer run organization, we wouldn't be able to help these deserving dogs if not for our amazing volunteers--like Matt and Rebecca! Matt and Rebecca are always ready to jump in to help with that week’s needs, whether it’s transporting a dog to the vet or handling a dog on a pack hike. We asked Matt and Rebecca a few questions about their experiences volunteering with Angel City Pit Bulls. 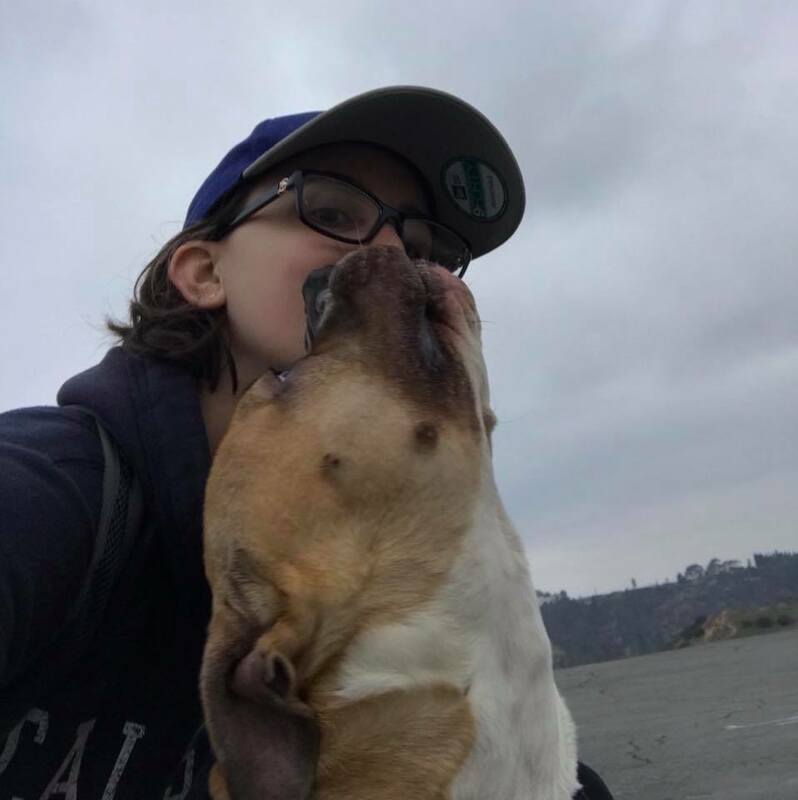 Why did you start volunteering with Angel City Pit Bulls? We’ve always been big dog lovers but especially love pit bulls. We have one of our own but wanted to do more and volunteer our time for something we’re passionate about. It was the first pack walk we ever went on. We stepped out of the car to the sight of dozens of beautiful pitties and volunteers who love the breed as much as we do. It was a great feeling knowing that we had found a community that shares our passion. What foster dog has had the biggest impact on you? Matt: I have a soft spot for Billie and Micheline. Billie is such a cute girl but it makes me sad that she’s so shy and timid. Her foster, Maureen, has done an amazing job with her and I hope that she ends up in a nice home. Micheline is the polar opposite of Billie. She's just so happy and full of life--and the biggest cuddle bug--so she’s the one I love to spend the most time with. Rebecca: It’s hard but if I have to pick just one, it’s Lindsay. She’s just incredible and has an infectiously joyful personality. I’m always grinning when I see her. She has this amazing confidence and irrepressible zest for life - it’s so easy to forget she’s blind (honestly, I don’t think she knows that she’s different). All she ever wants to do is be best friends with everyone she meets. What is your favorite part about volunteering? Least favorite? Our favorite part is just knowing that we are making a big impact on these dogs lives. The majority came from not so great situations, so the fact that we have a hand in bringing them happiness while they wait for a forever home feels really good. Our least favorite part is that we can’t take every one of them home with us! What would you say to someone who wants to volunteer but doesn't know how to get started? Start with some basic research. It’s so easy to get involved by just reaching out and asking how. We started our journey with ACPB by just joining the pack walk with our dog Toffee. Thank you to Matt and Rebecca for everything you do! Interested in becoming an Angel City volunteer? Fill out our questionnaire to get started.